Drown right after Red tells you she can't swim. Escape the guards without dying. Finish the harbour on hard. Chase Woolfe through the woods without dying. 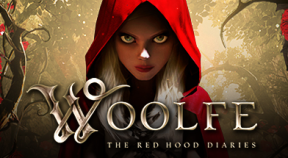 Defeat Woolfe and listen to what Grandma has to say.